Here at the Image Lab we strive to provide a comfortable space for creativity and exploration of all things photography. 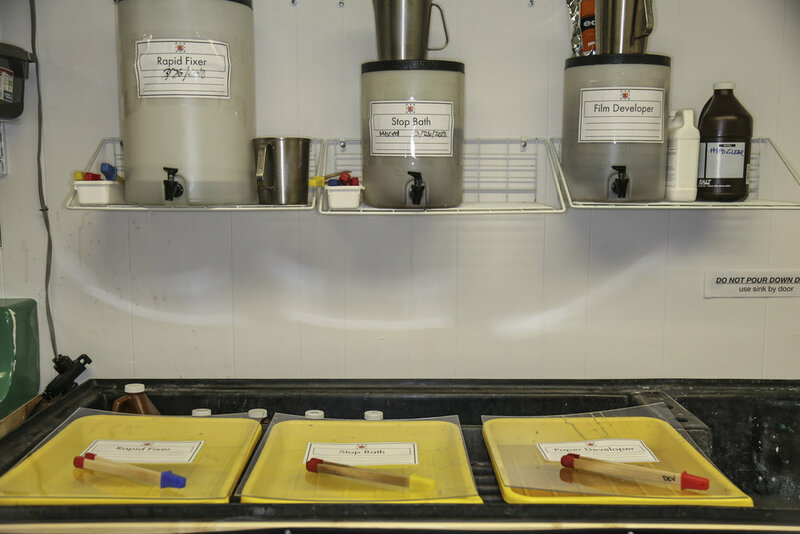 We provide equipment for traditional film processing, UV exposure, and finishing your work. We have two Omega enlargers that accommodate up to 4x5 film. Each enlarger station comes complete with lenses, film holders, printing frame, and grain focuser. At the Image Lab we strive to provide high quality and archival chemistry while keeping the user and environment in mind. We provide Eco Pro chemistry free of harsh chemicals. The Image Lab offers an Arista UV exposure unit capable of printing up to 20x24 prints. Produce one-of-a-kind prints using our contact printing frames and dim lab. Finish your print right! 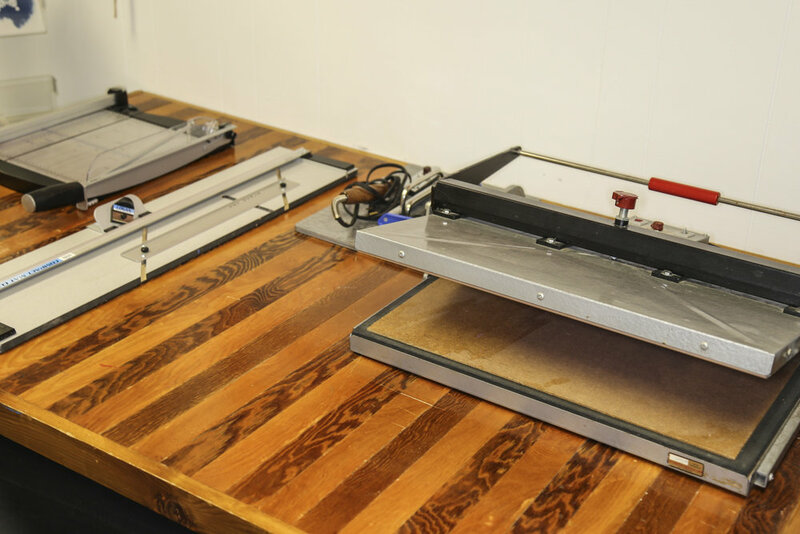 We offer a heated dry mount press that can accommodate up to 20x24 prints. Everything you need to develop your own film! Metal and plastic canisters and a 4x5 development tank. We also have an available Jobo CPP 2 with several development options. Need to print a negative? Use our Epson 3880 printer with UltraChrome Ink. 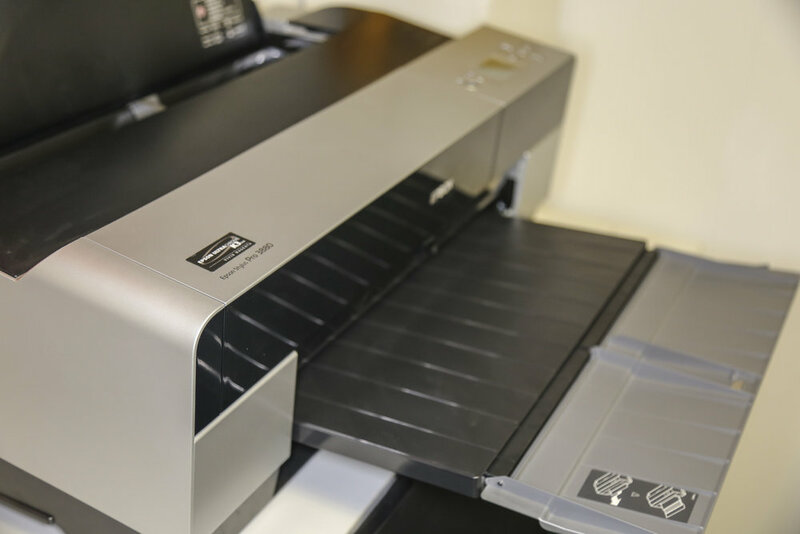 This printer is dedicated to the production of digital negatives and is capable of printing up to 17" wide. Need results fast? 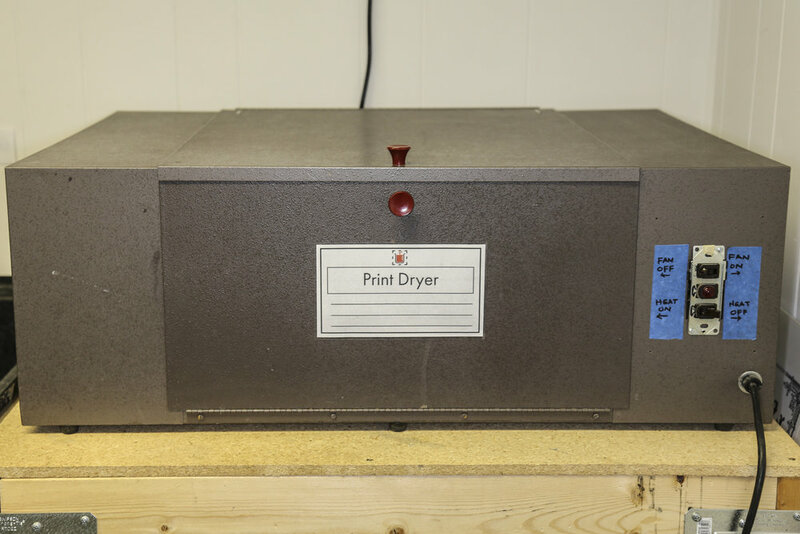 Use the heated drying unit to quickly and safely dry your prints. We also have a standard drying rack located inside the darkroom. Lighting Equipment available for rent.